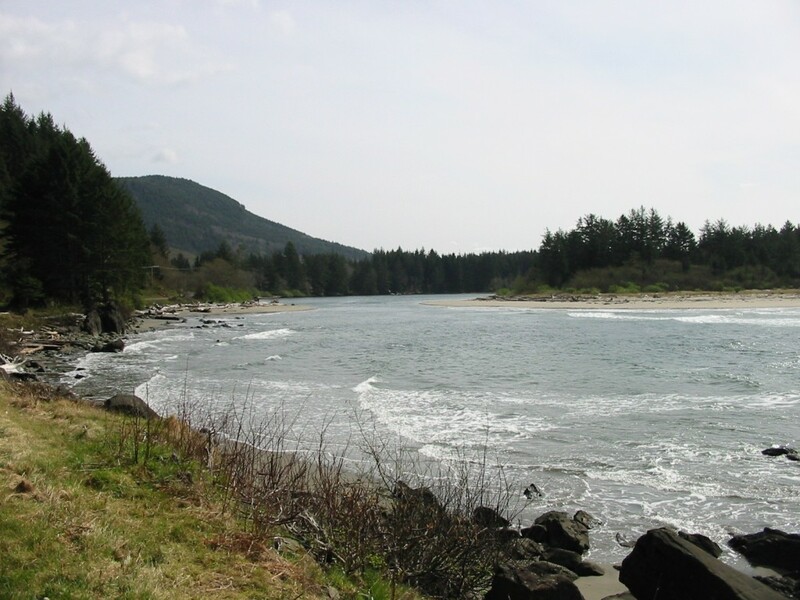 The Sooes river originated in the Olympic mountains and drains out into Makah Bay. The Sooes is well stocked by the Makah Hatchery with Steelhead and Salmon. Fishing is allowed in tribal areas but you’ll need to purchase a fishing License to fish on tribal lands. The License can be purchased at Washburns General Store in Neah Bay. Sooes river fishing access on tribal land is at the mouth and at the Hatchery. Other areas can be accessed up river. For more information on Sooes river fishing access see our Sooes river fishing access map below. Salmon season generally runs from August through December and Steelhead/Trout June through October. **See Washington State fishing REGS for non tribal areas / Makah Tribe Regs for tribal areas for exact seasons and limits!!! This fishery generally allows 2 Salmon per day and 2 Steelhead per day.